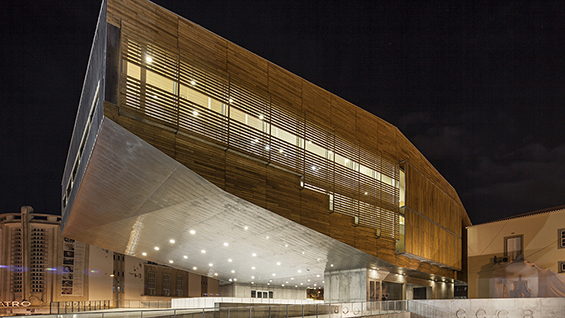 Over the past four decades, Spanish architect Josep Lluís Mateo has made significant contributions to the field through publishing and teaching as well as design. Early in his career, Mateo spent nine years as the editor of Quaderns d’Arquitectura i Urbanisme, the journal of the Architects’ Association of Catalonia. He has since contributed to numerous books and magazines; in 2007 a compilation of his essays was published as Textos Instrumentales. In 2015 he launched BCN Architecture Guide, a mobile app dedicated to design in Barcelona. A professor emeritus at ETH Zurich, he has taught at Harvard’s Graduate School of Design and the Barcelona School of Architecture. Nice Grand Arenas, Nice, France. Montpellier Cité Créative, Montpellier, France. Cultural Center of Castelo Branco, a dramatic form cantilevered over an ice skating rink in a small Portuguese city. Film Theatre of Catalonia, whose simple concrete facade was designed to fit into a gentrifying Barcelona neighborhood. Prague National Gallery Entrance Hall, a sensitive design for a museum entry in a historic Prague complex.